Iron Broo earlier the same day at the Winter Wonderland Festival on Union Terrace. Keen ceilidh goers traded their winter blues for their dancing shoes in preparation for the Christmas holidays. As promised it was a good old-fashioned Scottish evening where guests were invited to bring their own beverage and snacks and enjoy a ‘reel’ ceilidh. Families and friends came and took part in the dancing, which knew no barriers to age with children, young people and the more experienced taking part. All the dances were called and everyone was invited to join in. Nobody was left a stranger by the end of the night. The raffle and a ‘throw coins at the whisky’ game were held to raise money for ‘Charlie House’ a local Aberdeen children’s charity. 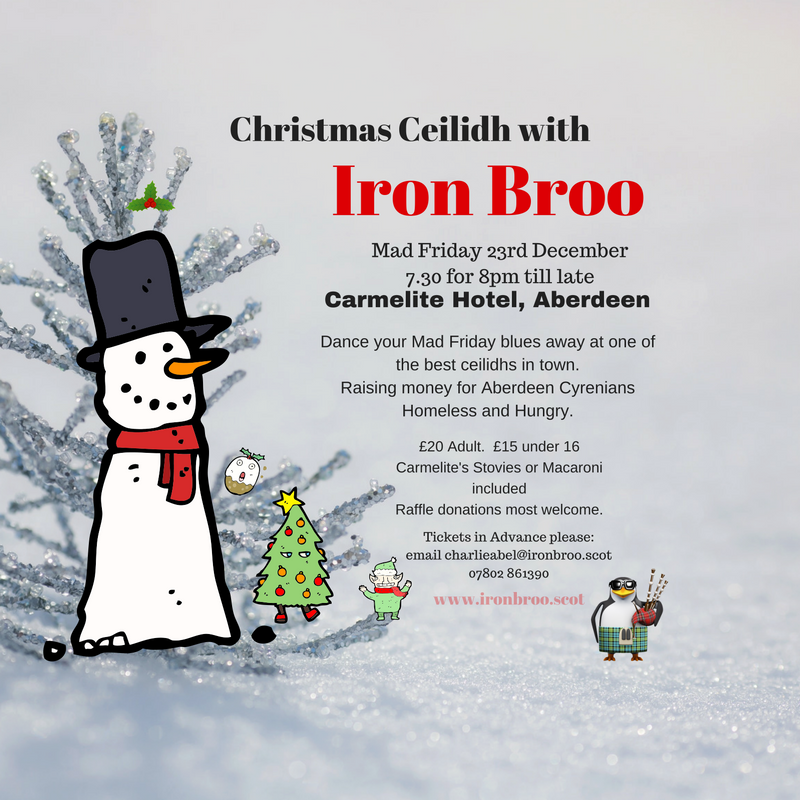 Iron Broo would like to thank The Devenick Dairy who donated a ‘Big Beast’ Christmas hamper, full of cheeses and goodies and Makro Aberdeen for donating a bottle of malt whisky for our whisky game. A respectable £173 was raised for Charlie House. Congratulations to Lydia Van Beers for winning the Devenick Dairy ‘Big Beast’ hamper and to Jonathan Scott for winning the Makro Whisky game with a bottle of 12 year old Old Pulteney. “Everyone who came tonight had a fantastic time. You can’t beat a ceilidh in a wee hall for a friendly welcoming atmosphere. It’s a really great low-cost night out for anyone. Especially welcome at this time of year. Everyone is smiling,” said Charlie Abel, Iron Broo’s accordionist and band leader. 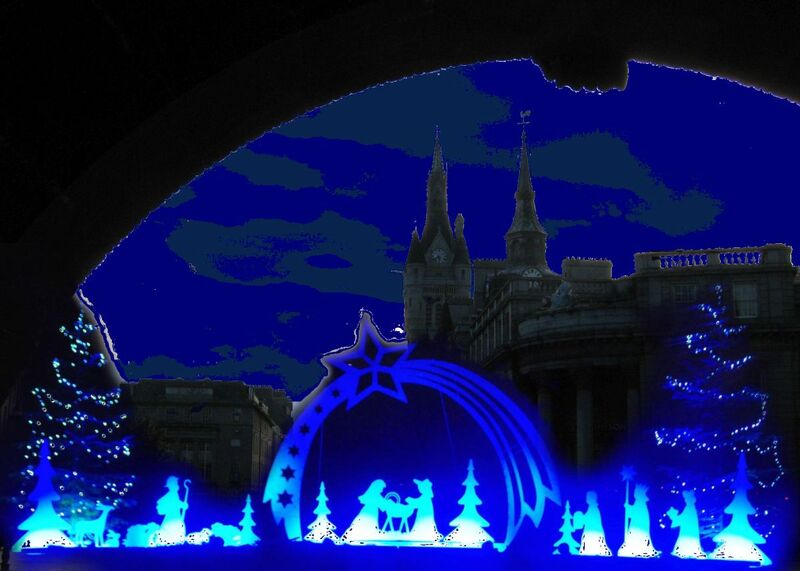 An Aberdeen Nativity by Suzanne Kelly. Author’s note: Due to some recent developments, it seems the audience for Aberdeen Voice has widened; this is very welcome. Every year I write an irreverent satirical piece summing up some of the year’s local, occasionally national, issues. Most of this won’t make the blindest bit of sense to those outside our little hamlet; apologies to anyone who invests time reading this, only to wind up scratching their head at the end. Before recent developments, I had started to write this piece. All previous pieces had steered clear of the religious element of the traditional Christmas story. There were pieces based on Dickens A Christmas Carol, Dr Seuss’ wonderful Grinch, and so on. I hope it doesn’t need to be said I don’t mock anyone’s belief – but I think I’d best go on record as saying such. The story of the Nativity seemed very apt to a country where penniless travellers in need have come seeking shelter; I hope that is clear. I could have pulled the piece; I could have taken a safer slant for this satire. But as I am determined that recent developments should not change me or what I do, I’m going to keep doing the things I do. Thank you for bearing with me, and even if this won’t be the best piece of satire you’ve ever read (and it certainly won’t be), thank you for understanding the important role satire has in standing up for what’s right, and mocking what is wrong. And lo, forsooth, result! – It came to pass that travellers from afar came to Aberdeen, a man named Joseph and a woman, Mary. Verily things were not so good in the region they had come from. This was not far from what is called The Holy Land, where things are even less great, but I digresseth. The great Caledonian cheiftans had decreed every child would be given a Person Named who would beneficently look into every child’s thoughts and life – for their own good of course. Mary was heavy with child, and as is of course a good thing, as soon as the couple reached Caledonia, a Person Named was assigned to them. As was the Person Named’s wont, he stayed with them, beneficially watching their every move. Joseph had come to seek respite from famine and war, which of course were all his personal fault. Perhaps he would landeth one of the many thousands of jobs created in the Shire of the Deen by Caesar Augustus Trumpus Maximus Racist, whose great pleasure palace would be the envy of the civilised world. Placed on the world’s largest dunes of sand, verily the wealthy multitudes would come here for a game of golf and leisure, although it was leagues north of Hadrian’s Wall, in the frozen land of the Picts and Celts. But I digresseth again. The Person Named had managed to secure a temporary hotel lodging for the homeless couple, a beddeth and breakfasteth which the taxpayer would pay for. Now the taxpayer waxed wroth, for verily they had already paid for a massive number of social homes – some 400 of these were ready for use, but were sitting empty. Peterus Leonardus Ruminant Vermin-Slayer Totallus Incompetentus, the head of the city’s housing, had decreed it was too complicated to give these homes a good use, and anyway, he was far too busy ridding the city of its roe deer menace. He claimed that a roe deer caused one chariot accident every week. This may in part have been because Leonardus had destroyed every bit of meadow the poor creatures had, but again, I digresseth. The hotel was, according to the brochure the Person Named had acquired, supposed to be an iconic, smart, forward-looking building breathing new life into the heart of Aberdeen. Mary, Joseph and the Person Named followed street signs pointing to the tourist board, but verily these all led back to the place where the iron horses sped along tracks of metal, well, the trains did work when the copper wiring had not been stripped away by the Vandals and Ostragoths, or unless the wrong types of leaves lay on the rails – but again I digresseth. Eventually finding the tourist board office, despite all the signs pointing to either the railway station or a giant bazaar, they spoke with the tourist board staff. “This is going on your permanent record” saideth the Person Named. Mary was sore afraid. They headed to the outskirts of town, and found a stable filled with horses, cattle, chickens and sheep – you getteth the idea. And what kind of a farm was this? It was a charity farm, one which rescued all kinds of farm animals (no dogs or cats). Neither Joseph, Mary or the Person Named were sure they understood this business model. “Well, it’s still better than staying in the Britannia” Mary said. All agreed, and began settling down for the night. “Joseph honey, I think I’m going into labour” said Mary. Joseph and Mary looked at their clip-board bearing travel companion (who refused to give them their name as it happened) and exchanged a look. “You mean that place where the cleaning staff, nurses and doctors are all on a pittance and toil all day and night, where germs have run rampant, where junior doctors are exhausted, and the ER is crammed on a weekend with people who have had too much wine and mead?” – Joseph was aghast. “Well, that’s where we’re going, I’ll just call for an ambulance and call to let the midwives know we’re on the way. Then I’m going to find you two immigrants some permanent accommodation and some work. The council will have your home and work straightened out in no time.” said the Person Named. Joseph and Mary again looked at each other and shook their heads. Meaneth while, some shepherds were out in one of the few fields left, counting their sheep. “Perhaps we could do liketh those farmers up the road do, and start also keeping some animals, you know, and saying we’re rescuing them. We’ll still sell our sheep at market, but we’ll tell everyone how kind and loving we are, and we’ll tell them we’re saving farm animals.” Shepherd A was proud of this plan. Just at this moment the heavens lit up. “Not fashed either; what’s up?” said A. The frustrated angel, his wings flapping furiously as he hovered over the shepherds, flew flusterdly. The angel waxed wroth. He pointed at a nearby boulder and it exploded. “Pretty sure you need a permit for that.” muttered Shepherd A.
Shepherd A was not impressed. “Right, when you said ‘glad tidings of great joy’ I thought you at least meant a peripheral ring road, more housing in the greenbelt, or jobs creation. I hoped that maybe we’d finally get that granite web everyone wants. Jeez.” Shephderd B was sore disappointed. Shepherd A waived his hands and arms as if to shoo the Angel away. The Angel, now veritably incandescent with rage, pointed his arm at the ground by the shepherds, and a vast chasm filled with fire and brimstone opened at their feet. Out popped three people in pinstripe suits armed with mobile phones and clipboards. A mountain of paperwork and forms appeared from the firey depths as well. Smith thrust a bale of forms at Shepherd A. “OK OK, whatever; don’t get in a flap” Said Shepherd B, and he was off. But the Angel was gone. The Person Named had called a cab, and had gone off to a five star restaurant/hotel which he’d found on Trippeth Advisor. The cab took winding roads until gigantic signs proclaimed his arrival at ‘Trumpus Maximus Scota Golfus’. He figured he’d make some calls about Joseph and Mary, have a nice steak dinner and in the morning play a round of golf. Of course, the grateful taxpayer would be happy to pay for the costs of a Person Named, and only the best would do. Making some calls from the club house of this magnificent resort, with its giant sundials and Trumpus crested furniture, he’d sorteth out the work and housing for this couple. The ambulance had never arrived though he waited hours, and then somehow Mary and Joseph didn’t seem to be around anyway. “If only I could find some kind of jobs for these immigrants.” the Person named sighed aloud into his third martini. The speaker was a woman with giant hair, giant heels, and a lovely lovely face. Verily, it was Sarah Malonia Bates Majora, Face of Aberdeen, Spokeswoman of Trumpus. The Person Named bowed before her. And thus another successful outcome for the Person Named scheme came to be. Shepherd B arrived at the mighty palace of Marischal College. Rushing to the head of the queue at Reception, he was jostled and jeered by those in line. “Are you sure you’re in the right place?” the receptionist asked. “NEXT!” said the receptionist, and the shepherd was jostled along out of the line. And lo, similar stories were being played out in Gaul, in Brittania, in the very Roman Empire too. Tired, worn out people were fleeing the four horsemen: Famine had come to the formerly Fertile Crescent, wreaking havoc. He was followed closely by Plague, as the fleeing refugees spilled out from the now barren land. They streamed to their country’s cities where War had been waiting to meet them. As they fled from Famine, Plague and War, many fled straight into the arms of Death, who had also been waiting. Those who escaped Death were a diverse band. The hugest part were simply people trying to stay alive and keep their wives, husbands, mothers, fathers and children alive. They did what you or I would do. Their options were few, and Death waited everywhere. A tiny fraction of the people on the move were the very agents of War and Death, who decided that rather than solving problems they would make more problems. And a smaller number still are the ones who one day will, we hope, try to solve problems with peace, intelligence, kindness, and maybe even Love, who it is rumoured is making something of a comeback. Mary slept; Joseph kept watch, and the baby smiled in its sleep. With thanks to James Soars Media Services. 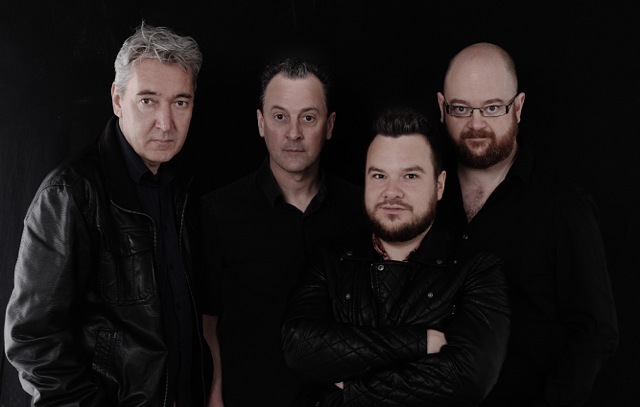 2015 has been an epic year for Shooglenifty, a band formed 25 years ago in Edinburgh. 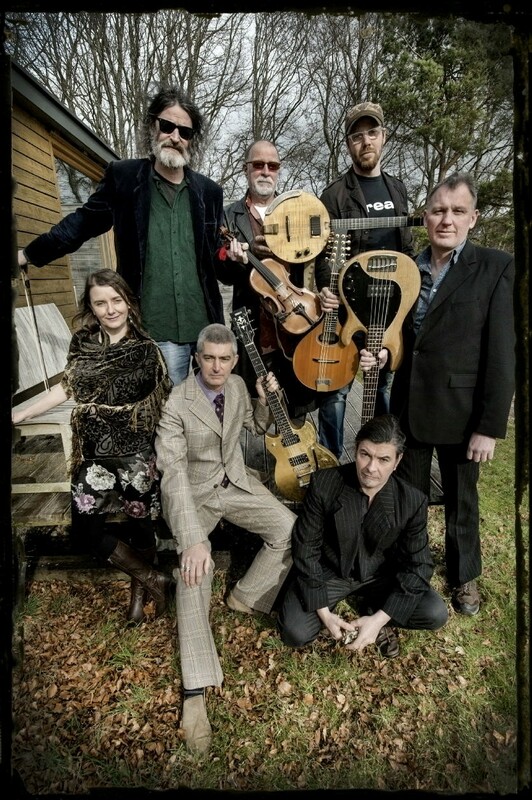 Retaining four of their original members plus their bass player of 12 years standing, the line up has been invigorated in the past year by fiery young mandolinist Ewan MacPherson who contributes four tunes to their critically acclaimed new CD release The Untied Knot. Also new in 2015 is ‘puirt a beul’ vocalist Kaela Rowan who graces the album with the first ever collection of Shoogle songs. Shooglenifty’s sound springs from traditional Scottish dance music, energised by the beats and bass line of something altogether more contemporary. It is not a sit-down kind of music, it’s a join-in, and get on your feet kind of vibe. Attempts to describe this almost uncatagorisable band include: ‘dub-diddly’,‘hypno-folkadelic-ambient-trad’ and ‘Acid-Croft’. Whatever it is, it has endured, evolved and, above all, entertained for quarter of a century. The band are most at home playing live, and matching the excitement of releasing the new album, 2015 has been a year of very special gigs. They enjoyed not one, but three(!) 25th Anniversary Parties – they sold out the city’s iconic Old Fruitmarket venue at Celtic Connections in January, they blew the roof off a packed Glenuig Hall in April, and, in May, celebrated at a late night album launch at La Belle Angele, Edinburgh, scene of their first residency in the early 90s. Summer 2015 is packed with appearances at festivals at home and abroad: they include HebCelt in the Isle of Lewis, Cambridge, Rainforest World Music Fest in Borneo and Interceltique in Brittany (with current collaborators the Dhol Drummers of Rajasthan). The year is top and tailed by hogmanay celebrations on opposite sides of the earth – Woodford, Australia for 2014/5 and Edinburgh’s Hogmanay for 2015/6. But before we hit the fireworks at midnight on 31 December, Shooglenifty is coming to a village/town/city near you. There will be dancing. Celebrating their 25th anniversary, this is Shooglenifty’s seventh studio album. The breathtaking ‘puirt a beul’ (mouth music) of Gaelic vocalist Kaela Rowan brings a captivating and energising new element to the band’s sound, and the grittiness of the songs further confounds any attempt to categorise them. The Untied Knot drops additional pins in the Shoogles’ map of international influences, this time hitting the road from Scotland to Rajasthan. Watch out for James Mackintosh and Kaela Rowan’s ‘The High To Jodhpur’, a tune that makes that connection explicit, whilst Burn’s Tam O’Shanter is the ‘closer to home’ substance to the title track by Quee MacArthur. Former band member Luke Plumb’s fresh compositions – the psychedelic ‘Arms of Sleep’ and ‘The Highway Carpark,’ a ‘hurry up and wait’ classic – are included, whilst new mandolinist Ewan MacPherson makes his mark with three tunes. His ‘Somebody’s Welcome To Somewhere’, a tongue-in-cheek Highland march, features the princely pipers of a guesting Ross Ainslie. Ewan also contributes a dark nautical romp ‘The Devil’s Breath Hornpipe’, and a speedy pair of reels clearly spawned by the Shoogle dance gene, ‘Samhla Reel/Scolpaig’. A dazzling contribution by Garry ‘Banjo’ Finlayson ‘The Scorpian’ (sic) is a fascinating and enigmatic creature, whilst ‘Fitzroy’s Crossing’, the striking Antipodean closing track by Shooglenifty front man Angus R Grant, is proof positive that there is no musical journey this band can’t take. The cover was designed by renowned John Byrne who previously created album sleeves for Gerry Rafferty, Stealers Wheel, Billy Connolly, and The Beatles, among others. “This is a class act, truly in line for album of the year” – fROOTS. “Remarkably exciting, and fresh *****” – Songlines. “Top to bottom The Untied Knot is a fine piece of work awash with spectacular displays of musicianship and bewildering levels of innovation” – Folk Words. “Gaelic vocalist Kaela Rowan fits Shooglenifty’s skilfully-knitted left-field sound as snugly as a kilt” – The Australian. Royal Deeside’s Food and Fiddle Fortnight will reach a crescendo this weekend with a number of musical performances, one of which will be a world public premiere. On the final day of the two-week festival, members of the pipes and drums of The Royal Highland Fusiliers 2nd Battalion The Royal Regiment of Scotland (2 SCOTS) will perform the first public recital of the new pipe tune ‘The Longest Reign’. The tune, a march, has been composed by Pipe Major of 2 SCOTS Stuart Gillies to commemorate Her Majesty The Queen becoming the longest reigning monarch in British history. The historic recital of the tune will take place at a free to attend event at Deeside Activity Park near Aboyne on Sunday, 18 October at 2:00pm, and will be one of the final events of Food and Fiddle Fortnight. The pipe band’s performance will also feature a medley of other traditional tunes. Pipe Major Gillies composed the vibrant tune at the request of 2 SCOTS company commander Major Alastair Colville. ‘The Longest Reign’ marks the date – Wednesday, 09 September 2015 – that Her Majesty surpassed the milestone which her great-great-grandmother Queen Victoria had previously held. It was played for her at Balmoral Castle on that date. The Royal Highland Fusiliers have been on Royal Guard duties on Royal Deeside for the past three months and presented Her Majesty with a copy of tune at the end of her annual summer stay. Sunday’s performance at Deeside Activity Park will be one of the final engagements that the fusiliers will carry out on Royal Deeside before returning to their barracks in Edinburgh next week. A video of two pipers from the band performing the tune high on the hills above Ballater has been viewed nearly 80,000 times on the regiment’s Facebook page. Organised by Visit Royal Deeside, Food and Fiddle Fortnight is an annual celebration of the area’s culinary and cultural talents and heritage. The two-week festival draws to a close on Sunday evening, by which time more than 60 events will have been held at venues across Deeside and Donside, bringing together local food producers, businesses and musicians. Highlights of the coming week’s programme include special daytime events and musical evenings at the Hilton Grand Vacations Club at Craigendarroch. There are live traditional music sessions at the Aberdeen Arms, Tarland, on Tuesday, 13 October and the Deeside Inn, Ballater, on Saturday, 17 October. For walkers and those keen to learn more about the Cambus O’ May area there is a guided walk led by local historian Ian Murray on Saturday, 17 October. The walk will be punctuated with live fiddle music from Paul Anderson. 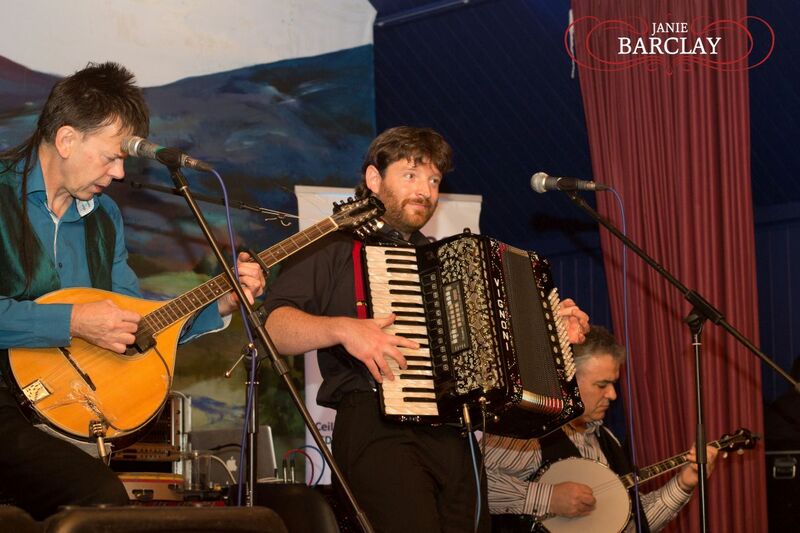 Participants will then enjoy more music and a two-course dinner at Ballater’s Riverside Cottage Cafe. The fortnight-long celebration will draw to a close with a concert performed by the Rua Macmillan Duo at the Woodend Barn, Banchory, on Sunday, 18 October. Award winning Scottish fiddler Rua Macmillan will be joined by pianist Suzanne Houston, with the duo performing a range of music from across Scotland and further afield. “The Longest Reign is a wonderful piece of music and a fantastic way to commemorate Her Majesty’s achievement. It is very fitting that the world public premiere of the tune will take place on Royal Deeside, an area held in great affection by The Queen and her great-great-grandmother, Queen Victoria, the length of whose reign she surpassed. To inspire visitors to explore the local area even further during Food and Fiddle Fortnight, Visit Royal Deeside has put together an A to Z of things to do and places to visit. The list highlights some of the more unusual activities on offer, including lessons in tractor driving, gliding and driving a train on part of the old Deeside line. Food and Fiddle Fortnight takes place in venues across Royal Deeside until Sunday, 18 October. A full programme is available at www.visitroyaldeeside.com or by searching for Food and Fiddle Fortnight on Facebook. Visit Royal Deeside is the destination management organisation established in 2005 to promote Royal Deeside, Donside and the eastern Cairngorms. The organisation works with over 100 locals businesses to enhance the quality and variety of visitor products and services, providing effective training and support where necessary. It aims to grow tourism in the area for the benefit of locals and ensure visitors have the best possible experience to encourage return visits and recommendations to family and friends. More information is available at www.visitroyaldeeside.com. Royal Deeside will again provide the scenic backdrop as the area serves up another helping of its annual Food and Fiddle Fortnight, which begins this Friday. 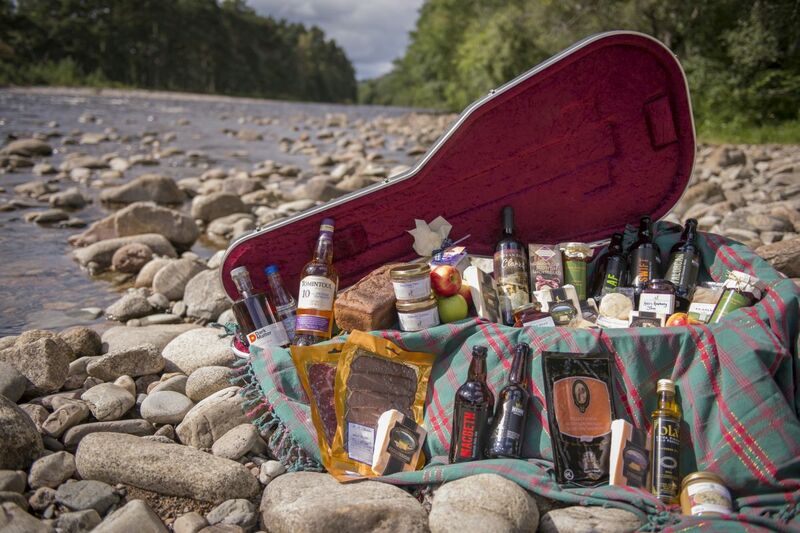 Taking place in venues throughout the Aberdeenshire valley, the initiative brings together local food producers, businesses and musicians to showcase the area’s culinary and musical talents. The celebration of food and music has been organised by Visit Royal Deeside and runs from Friday, 02 until Sunday, 18 October. 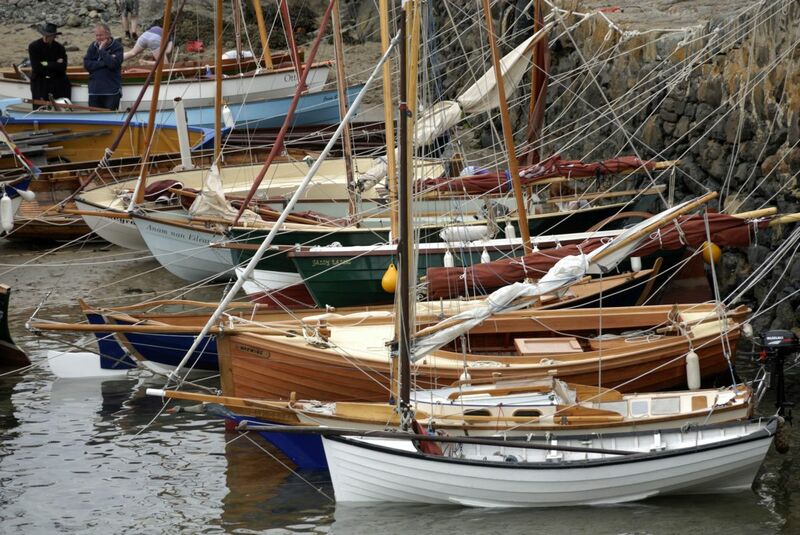 Now in its third year, the two-week festival is expected to draw visitors from across Scotland keen to experience the area at the start of one of its most spectacular seasons. A programme of around 60 events has been put together to cater for all musical and gastronomic tastes. Additional events are still being added to the festival’s programme. The cultural and culinary celebration includes food demonstrations, farmers markets, live music sessions, special afternoon teas, exhibitions and concerts. Many of the area’s cafes, restaurants and inns are also creating special menus for the festival to showcase the breadth and depth of produce available locally. As Royal Deeside begins to display its autumnal colours, visitors can explore its farmland, forestry and moorland aboard a Land Rover Safari organised by Glen Tanar Estate on Sunday, 04 October, which includes a venison barbecue lunch. Those wishing to discover the area on foot can join local historian Ian Murray on a guided walk on Saturday, 17 October. Acclaimed local fiddler Paul Anderson will provide live fiddle music along the route, before participants enjoy more music and a two-course dinner at Ballater’s Riverside Cottage Cafe. The venue will also host an opera dinner on Saturday, 10 October. For foodies, Glendavan House at Dinnet is serving up a Highland hamper and bagpipe breakfast on Saturday, 03 October, while on the Tuesdays and Wednesdays of the festival Cambus O’ May Cheese will open its factory doors and allow visitors to see its award-winning artisan cheeses being made. Wark Farm at Cushnie, an organic farm butchery and meat retailer, will be holding food and farm experience days on Sunday, 04 and Monday, 05 October. The sessions will include a farm walk followed by an informal lunch of meat reared on the farm and vegetables grown in its kitchen garden. Visitors will also get the chance to learn some butchery skills during an afternoon demonstration. Art and food will combine throughout the festival. On the opening night, Friday, 02 October, the renowned Butterworth Gallery will host an artistic taste evening. The event will feature local produce including local cheeses from Cambus O’ May Cheese and beers from Deeside Brewery. Meanwhile, on Thursday, 08 October, the 230 ceramic fish exhibits from the much-admired River of Fish installation, created by the Heckleburn Quines, will be auctioned off at Banchory’s Woodend Barn. Festival highlights include two concerts featuring some of Scotland’s leading traditional musicians. Celebrating the Hairst takes place on Thursday, October 08, in Tarland’s MacRobert Hall, with renowned local musicians, fiddler Paul Anderson and singer Shona Donaldson, performing a lively programme of traditional tunes and bothy ballads to mark harvest time. 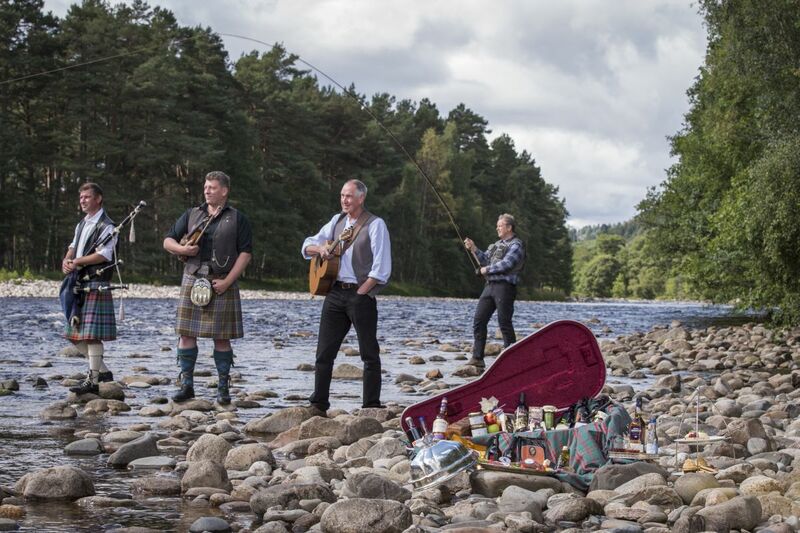 “Royal Deeside is an area steeped in a rich musical and culinary heritage and the next two weeks will showcase the best of this. The 2015 festival programme features a diverse range of events, with things to appeal to people of all ages, interests and musical tastes. Local businesses have fully supported the Food and Fiddle Fortnight once again and have created some fantastic events. To inspire visitors to explore the local area even further during the Food and Fiddle Fortnight, Visit Royal Deeside has put together an A to Z of things to do and places to visit. The list highlights some of the more unusual activities on offer, including lessons in tractor driving, gliding and driving a train on part of the old Deeside line. The Food and Fiddle Fortnight takes place in venues across Royal Deeside between Friday, 02 and Sunday, 18 October. A full programme is available at www.visitroyaldeeside.com or by searching for Food and Fiddle Fortnight on Facebook. With thanks to Annie McKee. The finale of this exciting Food and Music Day will be a concert with world-renowned, local folk superstars, Old Blind Dogs. Tarland is well-placed for local produce and a thriving music scene, which will both be showcased in our second Tarland Food and Music Day. This festival will be held on Saturday 26th September (with events kicking off on Friday 25th September), at venues throughout the village, including the wonderful two year-old community garden (recently featured on the Beechgrove Garden). A weekend of fantastic music is planned, with performances all around the village. World-renowned local fiddler Paul Anderson will kick off the activities on Friday 25th September with a guided local walk, featuring musical interludes and local heritage tales (2-5pm, advanced booking required by emailing: tarlandfoodandmusicday@gmail.com). Paul will also feature in the exciting evening concert with popular Perthshire fiddler, Patsy Reid and friends, including the pianist Andy Thorburn, Shooglenifty guitarist Ewan MacPherson, and drummer Signy Jakobsdóttir (£12/£10 MacRobert Hall, doors open from 7.30pm; Deeside Brewery bar). Local musicians are invited to join Patsy and friends for workshops in the Upper Hall on Saturday morning (10-12; £5 per hour). The Food and Music Day itself will open with the established food and local produce market in the MacRobert Hall (10am – 12 midday, free entry), featuring Crannach Bakery, Mortlach Game, Deeside Brewery, Cambus o’ May Cheese, Wark Farm, Tarland Community Garden produce and much more. Morning teas and cakes will be ably provided by Cromar Senior Citizens Association. An exciting game cookery demonstration will be provided by award-winning Chef Raj from India on the Green, Ballater, sponsored by the Scottish Natural Heritage initiative, ‘Scotland’s Natural Larder’ (2.30-4pm; free entry). Lunch will be provided by H.M. Sheridan Butchers, firing up the barbeque at Tarland Primary School, with India on the Green providing curry, rice and pakora lunch boxes in the MacRobert Hall (12 midday – 2pm). Visitors can learn to put the ‘oomph’ back into their day with a talk by Torphins-based nutritionist, Dr. Chris Fenn (£3, Upper MacRobert Hall, 1 – 2pm). Tarland Community Garden will be open within ‘Scotland’s Gardens’ scheme, including music by singer/songwriter Megan Albon, plus talks by James Reid from Tap O’ Noth Permaculture and Yvonne Davidson from Tarland Bee Group (£3, 2-5pm). 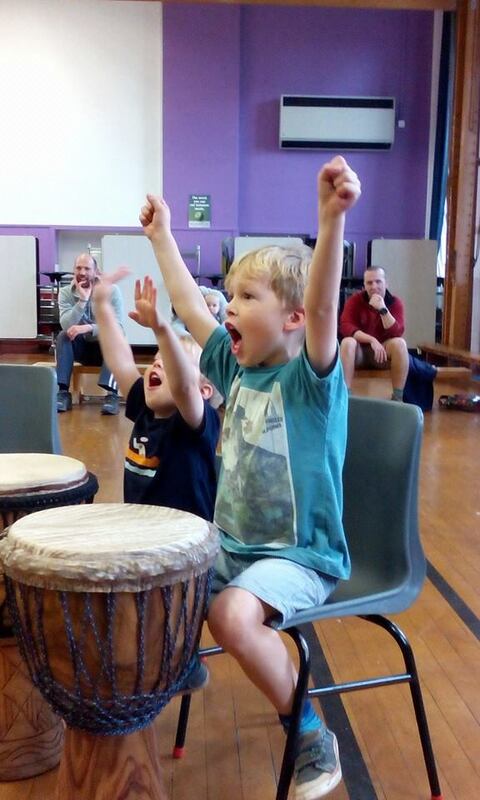 Aberdeen’s-own African drumming group ‘Drummin Aboot’ will be holding workshops in Tarland Primary School for both children and adults (4-6pm, £5 per hour), preceding a performance in the MacRobert Hall (6.15-6.45, free entry) – not to be missed! 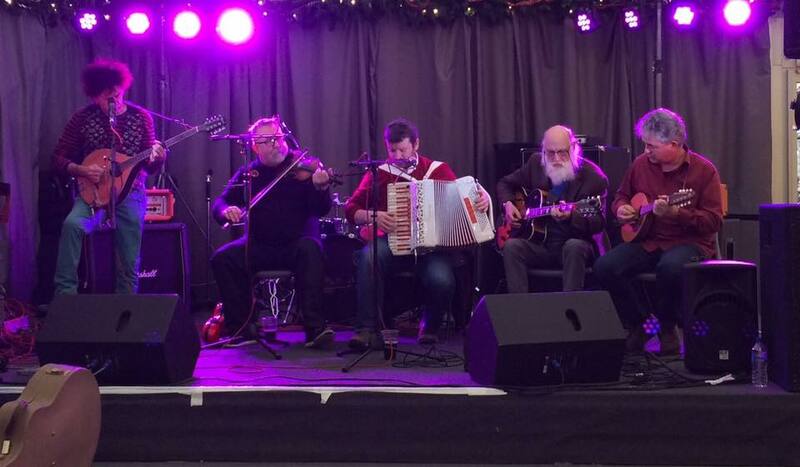 With a current line up featuring Jonny Hardie (fiddle, guitar and vocals), Aaron Jones (bouzouki, guitar, vocals), Ali Hutton (Border pipes, whistles, vocals) and Donald Hay (drums, percussion), the Tarland audience is sure to be in for a musical feast. Ticket price includes hearty soup supper from Tillypronie-based chef Carol Eagles, and Deeside Brewery will be on hand with their tasty craft beers and ales (£15/£12; doors open 7pm, concert at 8pm). The full programme of events can be found at www.tarland.org.uk (following links to the Food and Music Day) and all tickets can be booked by emailing tarlandfoodandmusicday@gmail.com or bought in person from Tarland Spar and Paper Shop and Strachans, Aboyne, at the Tarland Local Produce Market and on-the-door. Please note that advanced booking is required for the music workshops and strongly advised for all concerts! The Tarland Development Group looks forward to welcoming you to the feasting and music-making on 26th September! 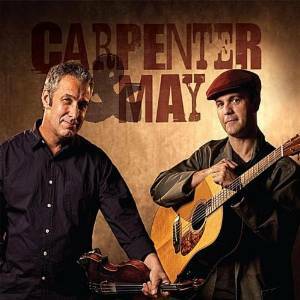 It’s quite a coup for local Americana promoter Martin Raitt’s Almost Blue Promotions to bring scintillating roots duo Carpenter & May to The Blue Lamp. Attracting such a prestigious act is proof that in just over a year of existence, Almost Blue is punching above its weight and becoming the go-to outlet for PRs and promoters eager to promote their acts in NE Scotland. The Gallowgate gig on Friday 3 October is the final date of the duo’s eagerly-anticipated eight-date Scottish tour. Both experienced and busy musicians, Fred Carpenter and Tim May have impressive CVs, having variously worked with, among others, Emmylou Harris, Barbara Mandrell, George Strait, Patty Loveless and Charlie Daniels. “It is easy to see why Fred Carpenter and Tim May have had a great deal of success beside some of the biggest names in country music. It’s time for them to step out and shine individually.” – Sing Out! The Lampie’s clientele is in for a treat, then. It promises to be one of the year’s best city gigs.